Our new signature piece! 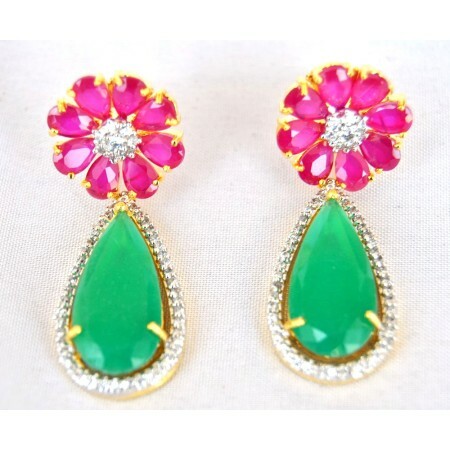 Ruby flower studs paired with stunning emerald drops. Elegant and multipurpose. Pair with both western and indian outfits. Great for both day and night wear. You simply cannot go wrong with these. Available in several gemstone color combinations. Care Information : Keep product away from moisture. Do not spray perfume directly on product. When not in use store away in an enclosed pouch or box. This will ensure that your product has a really long life.